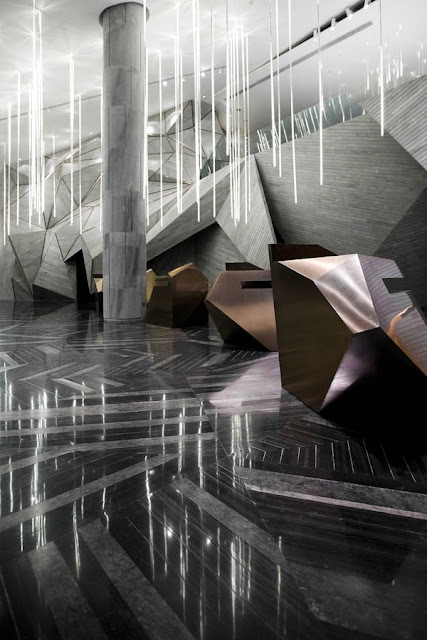 Designed by One Plus Partnership, the interior to the Chongqing mountain and City Sales Office reflects its site and environment. 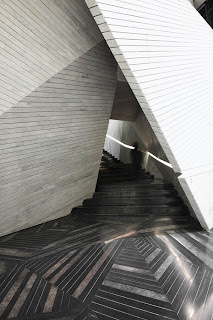 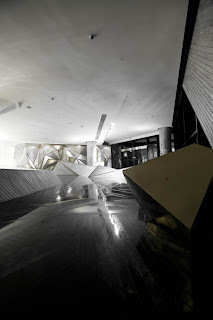 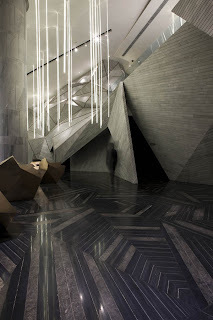 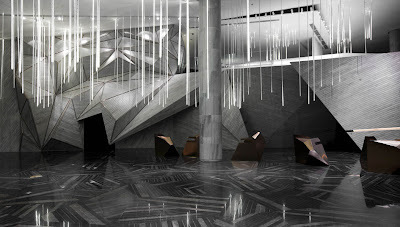 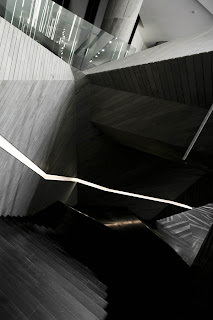 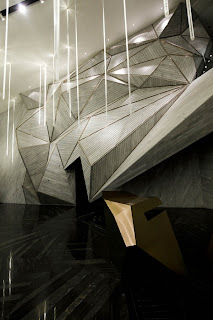 With its triangulated form and grey colour of materials mirroring the mountains, also found in its irregular furniture design; and its signature designer lighting much like rain, it is as if you are travelling into and through the mountains themselves. 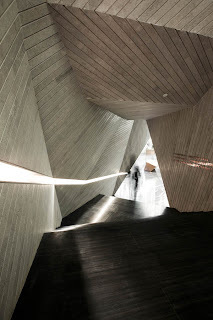 This is absolutely stunning and the wall forms remind me of my current design- this will definitely be a useful source of inspiration!